A portion of the Drupal is shown below. type users = name, pass. type node (I9) = node type. type node revisions (I9) = node, user, title, body, teaser. type comments (I9) = node. type vocabulary (I9) = name, description. type term data (I9) = name, description. type vocabulary node type (I9) = vocabulary, node type. 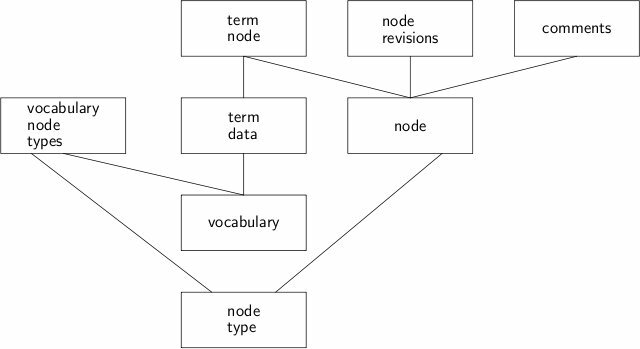 type term node (I9) = node, term data.